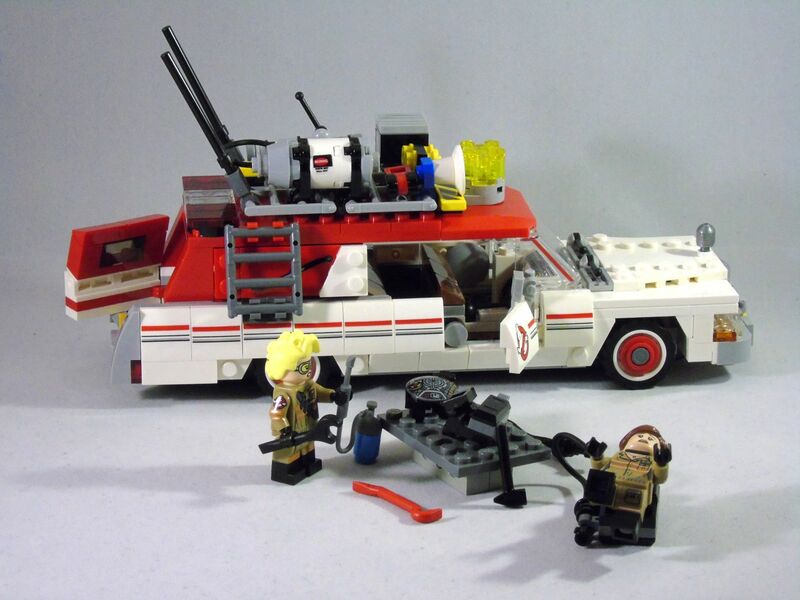 Just when they thought they were ready for their first Ghostbusting-adventure, Erin realized that something was wrong when she tried wearing her new proton-pack for the first time: She fell over! It was way too heavy! After a couple of hours of wriggling and cursing helplessly however, the work was done! No more falling over! Sadly by sacrificing the lovely printed domed tile-piece. But the increase in wearing comfort and the lack of losing balance makes it definitely worth it! And there are surely other projects where the pieces can be used for! I knew this mod was coming, since I saw the first pictures of this set. 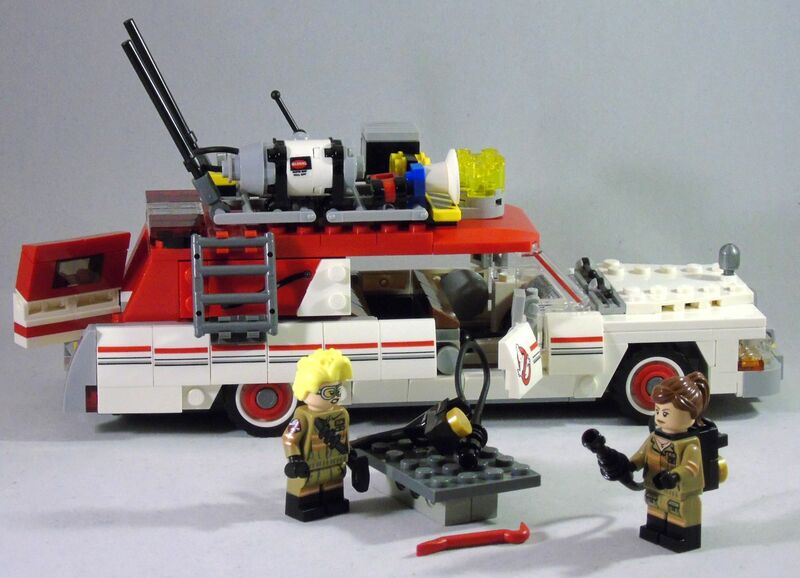 The Lego designers basically replicated the same design-flaw as in the first Ecto-1. Just with a more fancy construction (which is, as it seems, at least slightly lighter) and new black ingot-pieces. 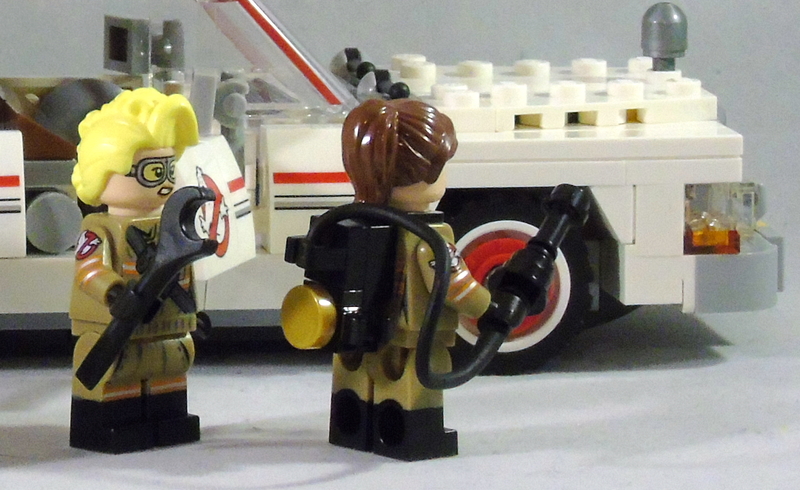 The results are nicely looking, but sadly totally oversized and unwieldy backpacks, which are simply useless for posing the Minifigures on anything other than a studded surface. Unless you want to pack them like a mule with accessories for their hands, that is.